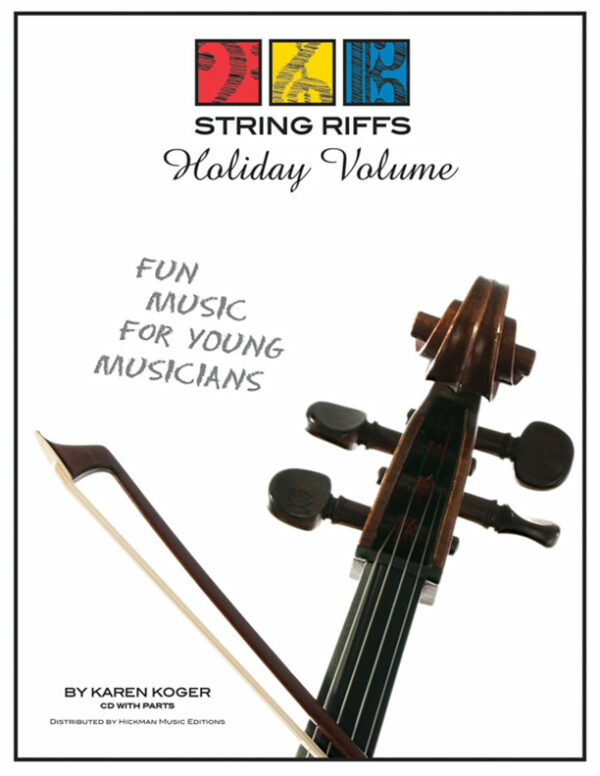 String Riffs Holiday Volume brings together music celebrating Christmas, Veterans Day, Halloween, Chanukah and other occasions to easily create the ideal concert program. 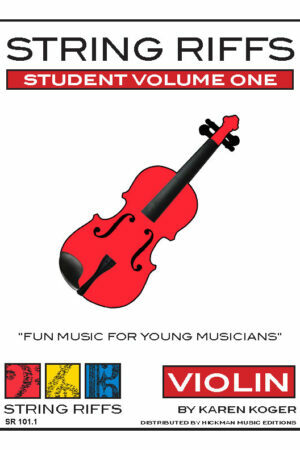 “Goblins Galore” uses spooky harmonics and spine-chilling glissandos; add more advanced musicians with “Giggling Goblins.” Another mixed-level pairing combines “Jalapeño Poppers” with “Spicy Tacos!” (from String Riffs Volume Three [Link to String Riffs Volume Three]). Other holiday pieces include “Jukebox Jingle,” “Save and Serve Salute” and “Veterans Day Celebration.” Levels 1 – 2.5 for string orchestra. 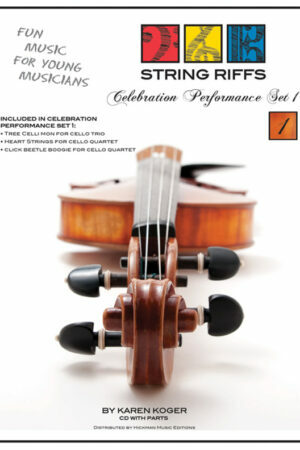 Slide those impish fingers across spooky harmonics, spine-chilling glissandos and startling pizzicato punctuation. Versatile and fun, Goblins Galore may be played with Giggling Goblins to combine players of varying skill levels in one ensemble. Add more advanced friends to the party when the imps return with pizzicatos and trills, leaping from 1st to 3rd position and sliding mischievously down scale segments. May be played with Goblins Galore. Beethoven’s beloved “Ode to Joy” leads to a medley of familiar, patriotic favorites and hymns with a salute to our armed forces and a nod to the red, white and blue. A bold swath of Celtic heritage gives this confident anthem the fierce backbone of a warrior. This tribute to those who protect and defend recalls all the reasons they serve with such loyalty, including a reminiscence of folk and hymn tunes and the familiar sounds of Americana. Enjoy the perfect musical appetizer and companion to “Spicy Tacos!” — these delicious treats have plenty of bite to tempt your palate before the sweeter sounds of the holidays. 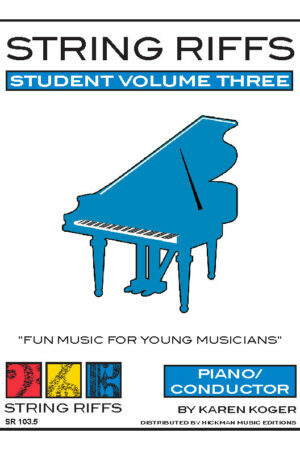 A satisfying piano part challenges more experienced players. Spin the top and celebrate Chanukah, spelling out “A great miracle occurred there” before you win the pot. Imagine a relaxing Christmas…you’ll lounge on a warm beach and play in the surf, blending themes from various carols into a refreshing fruity punch. Three wise men travel far through chilly weather to visit the newborn baby Jesus before leaving with the angels and the shepherds, all filled with the good news. This snazzy, jazzy music machine plays “Jingle Bells,” moving from 2/4 to 4/4 with ease and tempting fingers to snap. Drop a coin to choose “Up on the House-Top” until the jukebox returns to “Jingle Bells,” then turn off the machine at the end of the tune.